I read with interest the article in which you were quoted by the Azerbaijani press about your views on the return of the Azerabaijani refugees from the Nagorno-Karabakh war. You mention that you have seen “close to one million displaced Azerbaijanis”. Any analysis of the official census records at the time will establish that this is a gross overstatement, and also includes the 360,000 Armenians that were displaced from Azerbaijan. Do you have an independent survey that substantiates the figure of 1 million people? Note:In the interview you refer to, just the 7 surrounding regions, and not the original Nagorno-Karabakh Autonomous Oblast, or Armenia. The census records from the USSR state, clearly, that the population of Azerbaijanis was 363,588 for those regions. I recognise that you were a member of the APPG on Azerbaijan and have been to Azerbaijan ( I believe, funded by Azerbaijan) however I would expect that a UK MP would have a responsibility to be neutral in this situation, and not not promote one country’s propaganda. 1. You mention territorial integrity – what is your view on the self-determination rights of the people of the Nagorno-Karabakh Republic? 2. Have you visited NKR to see a different perspective of this situation? 3. How do you expect that the return of hundreds of thousands of Azerbaijanis into an Armenian populated area would work – especially given the animosity/suspicion between the 2 peoples? – Do you believe that this is in the interests of all of the people, or the politicians? – Would you expect this to happen totally peacefully? Over what time? 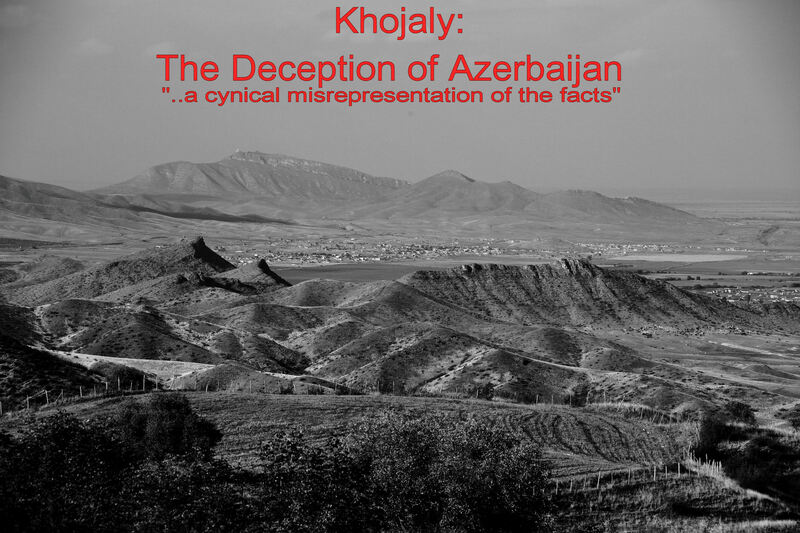 – Would you expect Azerbaijanis to return to Shushi, Khojaly, Stepanakert, and the villages in the original NKAO? – How do you see 50,000+ people returning to Aghdam when there are no buildings to return to? 4. When you saw the refugees in Azerbaijan – were you convinced that the Government had done their best to provide good accommodation for them ( recognising the $billions they receive from oil, and the amount that they spend on military equipment)? Armenia and NKR are much poorer countries and they have integrated the refugees into their communities. 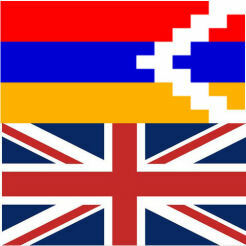 I have visited NKR on 9 occasions and have done much research into the situation. I am unable to visit Azerbaijan as the Government has declared me persona non grata for visiting NKR without their “permission”. 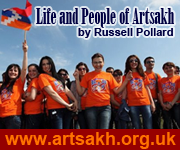 This is not a question of being pro-Armenian, or pro-Azeri – this is about how does a difficult situation get resolved without further loss of life . Political rhetoric about re-patriating “1 million” people as though they were pawns on a chess board does not help the people who are most likely to lose their lives as a result of this action – and this will not be the people who you met in Baku, but will be the many people who I have met on many occasion in NKR! I trust that you already considered your answers to these basic questions I have raised before giving your quote to the Azerbaijani press? ‹ A Syria without Assad is a Syria without Armenians.